It was a great blessing to see folks arriving on time and even early this morning for church. We are seeing more and more of the people provide their own transportation as they are able. That is a blessing as it frees up the tuk-tuks to provide transportation for those who are truly in need. Brother Hem and the men do a great job of organizing the parking and providing security during the services. Thank God for faithful men who are willing to serve behind the scenes! This morning Brother Bounna preached a good message in our 8:00 service which dealt, in part, with making sure that we all live a life that bears fruit. He challenged the church to live with eternity in mind as we will all stand before the Lord one day and give an account for our lives. Each Sunday morning we have at least one testimony from one of the men who is a part of our Saturday evening men’s discipleship group. This morning Brother Sinath shared a very good testimony from 1 Thessalonians 5:18 which says, “In everything give thanks; for this is the will of God in Christ Jesus concerning you.” It was such a blessing to see how much he has grown spiritually. I remember the turmoil that once characterized his family before they came to Christ. It is amazing to see the boldness that God has now given him. Each Sunday after the morning service Sinath travels two hours one way with several of our teens to his village in Kandal Province to help run the services in one of the village churches. They arrive back to Phnom Penh just in time for the evening service. In recent days there have been 4 more adults accept Christ in one of the villages where he and some of the team regularly goes soul-winning. 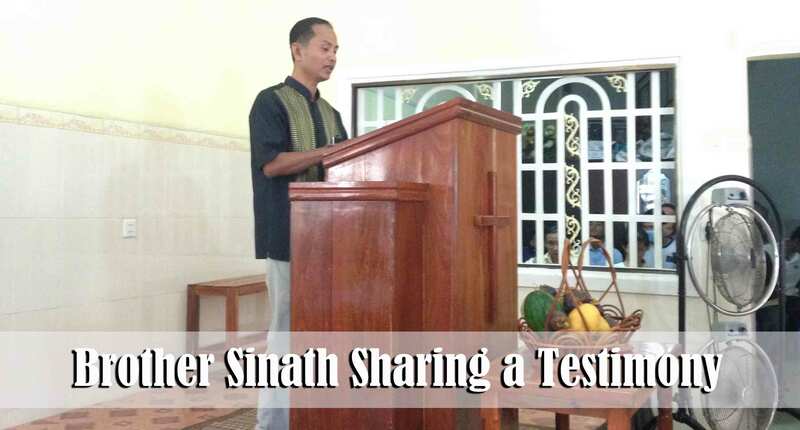 Please continue to pray for Sinath, his wife, Sopheap, and their five children. It was a blessing to have Sina return for a second time. She is the mother of two teenage young men who faithfully attend the Children’s Ministry every week. Mrs. Has and some of the workers have been investing time into her life and it seems like she is close to realizing her need of salvation. This morning she raised her hand during the invitation indicating that she wants to know more about how to be saved. 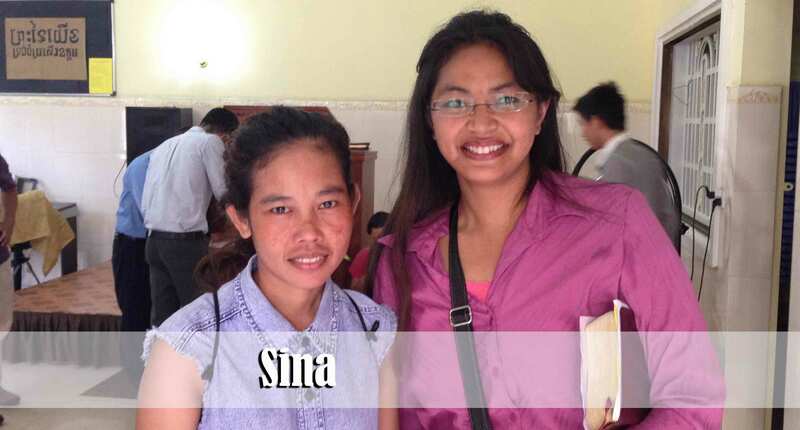 Please pray that Sina will clearly understand her need of salvation and that she will be saved. Brother Man and some of the soul-winners met this young couple yesterday while making visits on their Children’s Ministry route and invited them to the services today. It was a blessing to have them in the morning service. This couple recently moved to Phnom Penh from near the Thai border in search of employment. Debbie and I had the opportunity to take them to lunch after the morning service and spend some time with them. Seang told me that it was the first time that anyone had ever taken him to a restaurant. For those of us from the West that is probably hard to fathom. It seems that this couple has had some exposure to “charismatic” type Christianity but they are evidently confused about so many things. One of the challenges in reaching folks like this with the gospel is that they have already seen a false type of Christianity modeled before them back in their village. It often takes some time to get past all the “prosperity gospel” that permeates so many of the churches here and get to the truth of God’s Word and what it means to be saved. Pray that we will have a door of opportunity to really get to know this couple, that they will trust us, and that they will soon be saved. One of the blessings of having multiple services on Sunday is that it affords us the opportunity to have preaching that is targeted to specific age groups. Our 10:45 a.m. teen service is a special time when neighborhood teens have the chance to hear preaching and be built up in their faith. It is our goal to see 12-15 of these teen young people make the transition from the teen service to the “mainstream” of the church before 2016. Please help us pray to that end. As with the entire Phnom Penh Children’s Ministry, the teen service is run by nationals who have been saved and discipled here at Pacific Baptist Church. They are doing a wonderful job of teaching these young people and following up on them. When we started the Children’s Ministry nearly 5 years ago we laid down three primary objectives for starting it: 1) To get the message of the gospel to as many children as we could and to see them saved and walking with the Lord, 2) To provide an opportunity for the national adult believers to learn how to disciple their own people, and 3) To see the teenagers who are the “cream of the crop” leave the Children’s Ministry, become a part of the mainstream of the church (part of the adult service), and then see them one day return to the Children’s Ministry as workers, leading those younger than them. By God’s grace we are seeing these objectives come to fruition. It is such a blessing to see 17 year old Veasna leading the primary age young people each week. Serving alongside him in this class are 4-5 teen girls who assist him. The spiritual growth of the teens who are leading this class is quite evident. Because of the constraints of space here at the church this class is split into two groups, each meeting every other week. If the entire class were able to meet together it would have around 75 students. 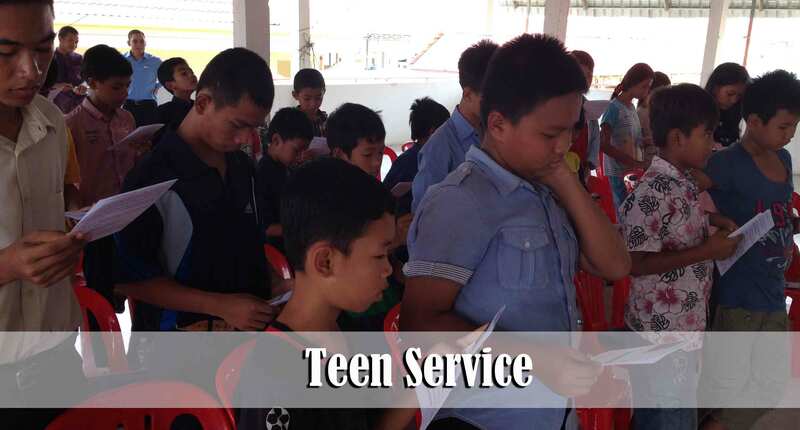 One philosophy that we have here at Pacific Baptist Church that is somewhat different from the majority of churches here in Cambodia (and not necessarily in sync with traditional Cambodian culture) is that teenagers can and should be trained to effectively serve God! We don’t believe that they need to wait until they are older to make a difference. We have done things, on purpose, to create an atmosphere in our ministries here in Cambodia where young people are free to serve the Lord. What a blessing is was to recently see Veasna spend several weeks seeking after and winning a grandmother to the Lord and begin discipling her in the Word of God. Please continue to pray that we will have wisdom as we seek to help guide the teen young people to live for the Lord. Most certainly the world, the flesh, and the devil would like to lure them to seek after things that are temporal rather than things that are eternal. 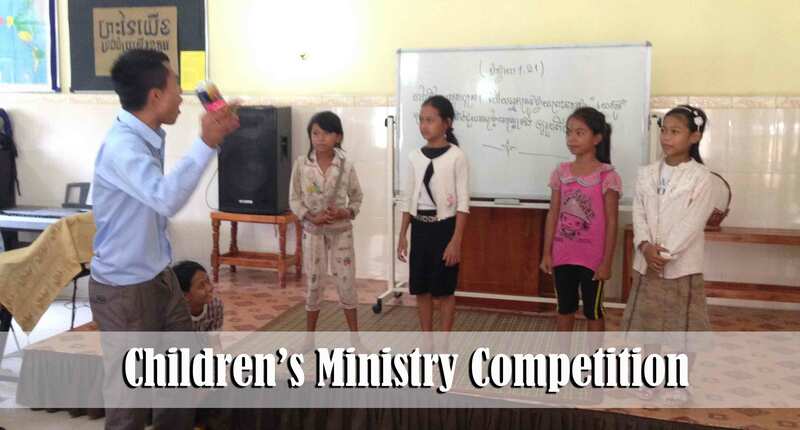 In addition to a time of singing and preaching, each week the children enjoy a time of competition where they can win small prizes. Today I observed that those who did not win the competition had great attitudes and were happy for those who did win. I believe this is due to the good example set forth by Brother Man and his workers as they faithfully teach the young people to love their neighbors as they love themselves. Some of your have asked about Borey and Lyma. They are both doing great. Borey is still faithful to every service here at the church and is growing into a very special young lady. Please continue to pray for her father, Rom, to be saved. Lyma is growing as well. Brother Vannak is doing a great job in getting the teen workers who have been discipled involved in helping to lead in various aspects of the Children’s Ministry. Today Lyma opened the teen service in prayer. 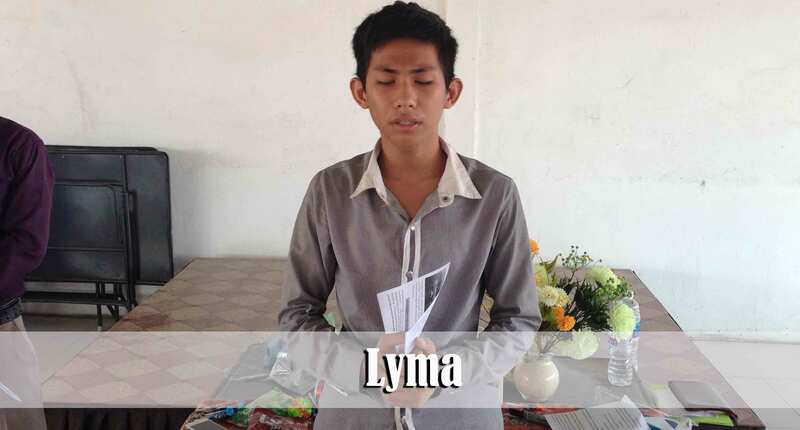 Please continue to pray for Lyma’s parents and siblings to come to Christ. During the evening service we always take time to have ministry leaders report on their individual ministries. We normally have two different ministries report. This evening Sina reported on progress that is being made in the deaf ministry. 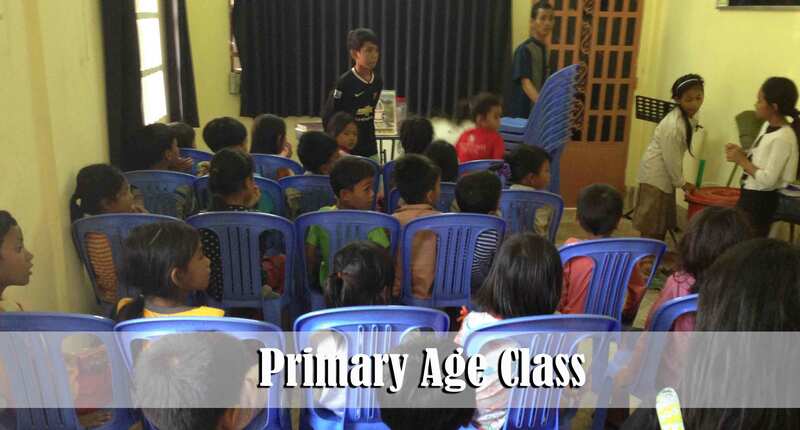 It seems that God is beginning to open some doors to have more access to the deaf community through a connection that was recently made with a deaf school here in Phnom Penh. 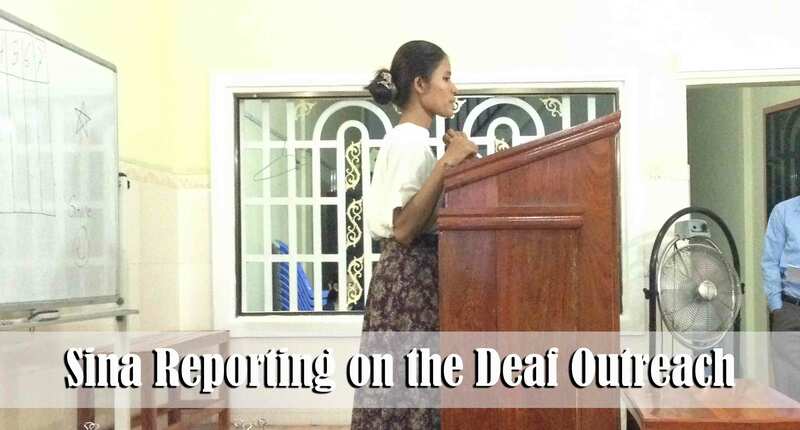 The deaf community is considered to be an “unreached” people group here in Cambodia but we believe that is going to change as the deaf begin coming to Christ. This community faces so many obstacles but we know that the doors that are being opened are being opened by God for such a time as this. I thank God for Miss Grace, Sina, and Somphoahs who are faithfully doing their very best to win the hearts of the deaf and lead them to Christ. Sina reported this evening that our greatest need in the deaf outreach at this time is to have a man who is willing to help reach out to the deaf. Culturally it is very difficult for our lady workers to connect with the men. Please pray that God would work in the heart of one of our national men to be burdened for the deaf community and be willing to learn sign language for the purpose of winning them to Christ. Likewise please continue to pray for Miss Grace and those who are seeking to help the deaf community. SokChea, 20 years old, is a blessing to be around. She recently came to Christ and though she is facing some difficulties in her personal life, she is full of the joy of her salvation! This evening I asked her why she smiles so much. She responded, “Because I am full of joy! Jesus has given me joy!” That was a blessing to hear. 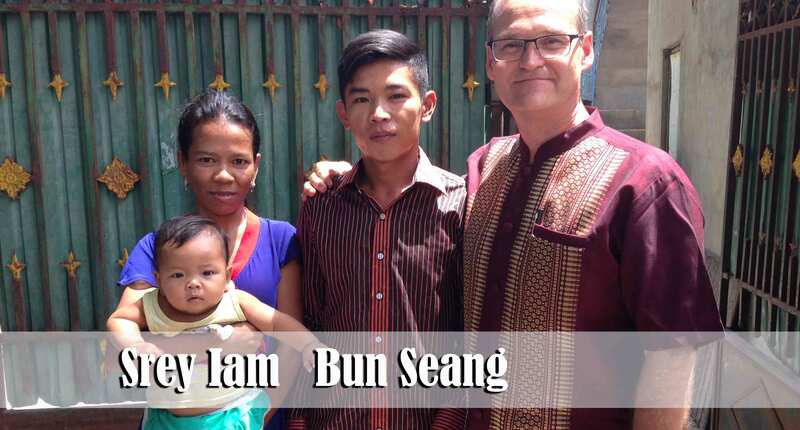 Pleases pray for SokChea’s spiritual growth and for the salvation of her family. Chanthou. 26 years old, is a friend of SokChea and visited our evening service. She is not yet saved but appears to be very open to the gospel. She took several tracts home with her tonight and has promised to read them. Recently she was in a very serious motorcycle accident along with her friend. Sadly her friend died. Though he had an opportunity to accept Christ on more than one occasion, to the best of our knowledge he never did so. His death has really shaken Chanthou and caused her to think about her own eternal destiny. I had an opportunity to speak with her for awhile after the service this evening and have promised her that we will be praying for her. Please pray that she will respond to the working of the Holy Spirit in her life and that she will be saved. Nissa, 19 years old, recently came to Christ through the witness of Kanha and her husband, Man. She told me this evening that her friends at work are making fun of her and accusing her of abandoning her own culture by following a “foreigners” God. This evening after the service she approached me and told me that she made the decision this evening to wholly follow Christ and requested that we help her cut off the spirit strings from her wrist. It was a joy to be able to explain to her that she has the Holy Spirit within her Who will protect her from the evil one. We read Matthew 28:19 together, prayed, she cut off the strings, and we burned them right there in the auditorium. As soon as the strings were burnt she proclaimed, “I want to be baptized at the next baptismal service.” She has a limited capacity to read the Khmer language and so this week I will be preparing an MP3 player full of preaching for her to take home to listen to. Please pray for Nissa to become grounded in her new faith and for her to realize and act according to her position in Christ. *Spirit strings are used by animists and are thought to help protect one from evil spirits. It is believed that those who have died in a violent manner can return to the earth and cause harm to the living but that the strings bring protection. 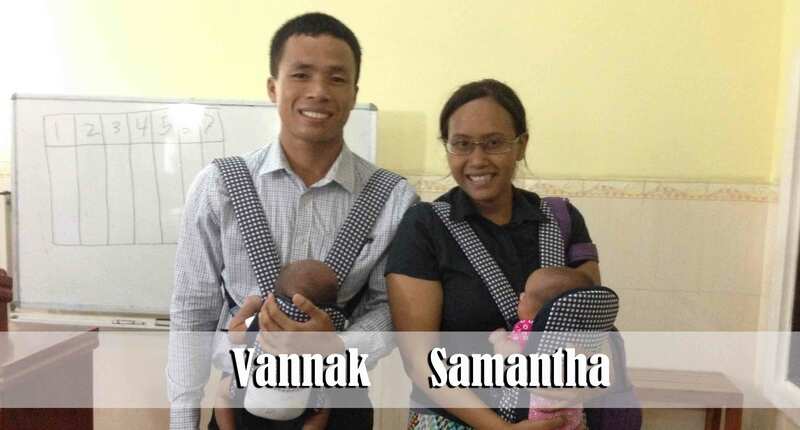 Samantha is Cambodian-American and was saved as a teenager at Pacific Baptist Church in Long Beach, California. After Bible college she joined us here in Cambodia as a single lady missionary. The Lord allowed me to lead Vannak to Christ 10 years ago. Now at nearly 30 years of age he is one of our faithful national preachers. Almost two years ago, the Lord brought them together in marriage. Six weeks ago Samantha gave birth to twins; one boy named David (named after yours truly) and one girl named Annabelle. Tonight was Samantha’s first service back to church with the babies. We thank God that they are healthy and that He is providing for the needs of this family. Please continue to pray for this godly family. Please pray for Vannak to have wisdom to lead his family as many of our families are watching his example. What a blessing it is to see how Miss Joy Esposito is adapting to the culture and the people of Cambodia. We have been observing her as she interacts with the children and the young ladies and we are blessed to see her love and compassion. She is truly a gift to this ministry and to the people of Cambodia. She is just one of the many folks who grew up in Long Beach and have been sent by Pacific Baptist Church of Long Beach to the 10/40 window as missionaries. 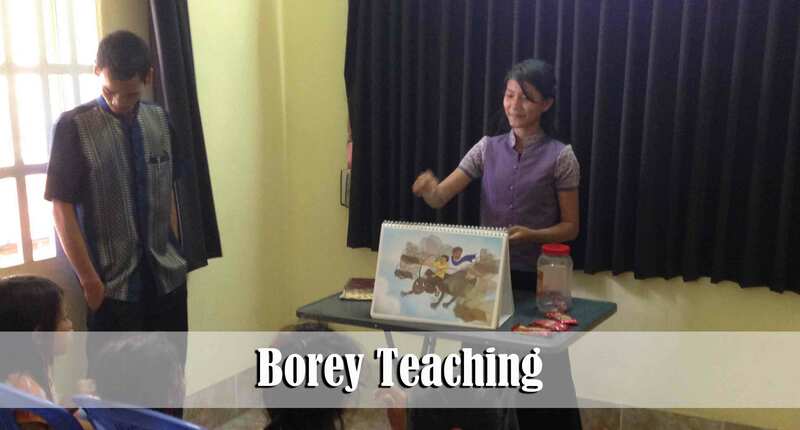 Please pray that Joy will continue to have God’s favor on her ministry and that He will supernaturally bless her as she is striving to learn the Khmer language in order to more effectively reach the people God has called her to reach. It is a blessing to have her on the TEAM! While in Long Beach I had the opportunity to meet with several other folks who are at various stages in their preparation for the mission field. One young lady is preparing to come here to Cambodia and will, Lord willing, arrive about a year from now. 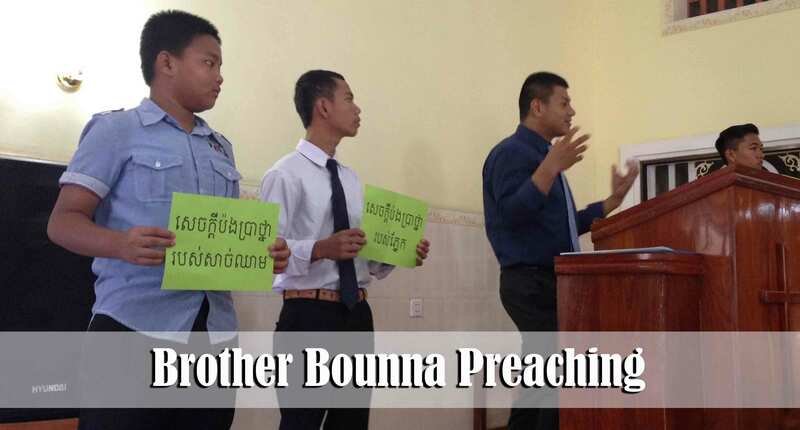 One young man is prayerfully planning to come here to Cambodia with the goal of reaching the Vietnamese people in this country and eventually branching out to a neighboring country. Another couple is very close to surrendering to come to Cambodia as well. Please pray for Debbie and I to have wisdom as we help to advise these individuals. Likewise pray for them as they prepare to serve the Lord on the mission field. We hope to give you more information regarding these new team members in the months to come. It has been such a blessing to see Miss Susanna Esposito jump right in and help in so many areas. 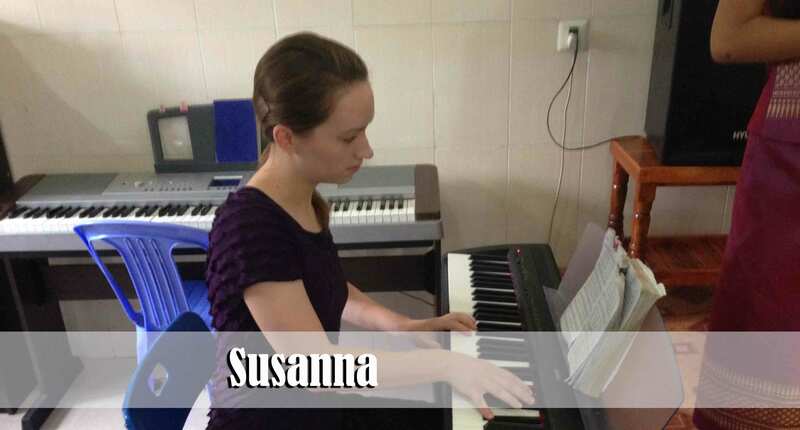 Susanna is the daughter of our home church’s Pastor, Dr. Joe Esposito. At this point she is serving here in Cambodia as a short-term missionary but she is seeking God’s perfect will for her life. It is always amazing to see the difference that just one person can make when they are willing to step out of their comfort zone and use their talents for the Lord. Susanna’s love for God and love for those around her is very evident! Thank you, Susanna, for helping to make a difference! We were shocked!!! 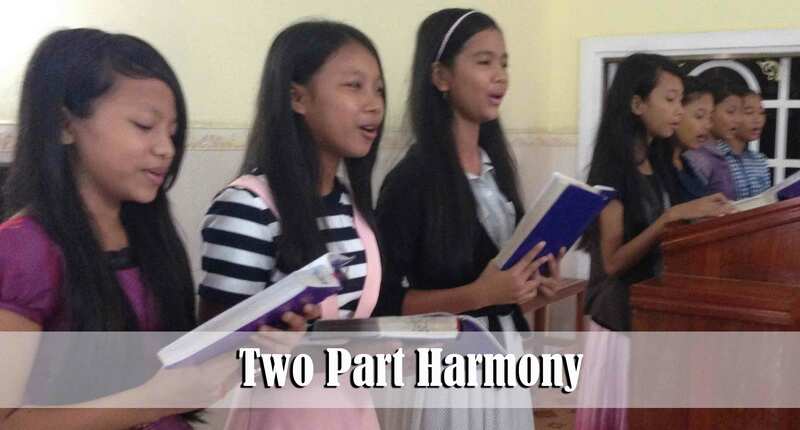 Early this morning we heard one of the teen girls music groups practicing in the church auditorium as they often do. But this time it was different. They were singing two part harmony. 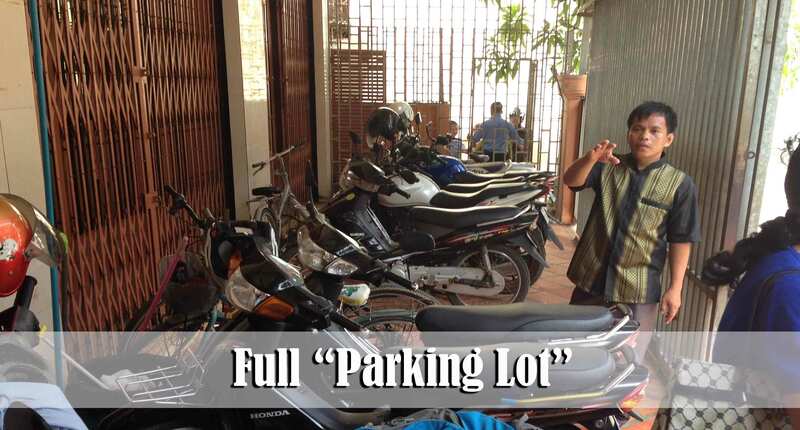 That does not sound like a big deal to those of you in America, but trust me, it’s a big deal here in Cambodia. We are so thankful for Mrs. Has and those who have been training these girls to sing. They sounded great and we can’t wait to hear them sing in a couple of weeks! Keep up the good work, girls! Our third annual Youth Conference is scheduled for July 10th-12th. Last year there were some very serious decisions made for the Lord during the conference and we expect the Lord to work this year as well. The theme this year is “Our God is Greater.” This conference will be very expensive and will involve so many people. 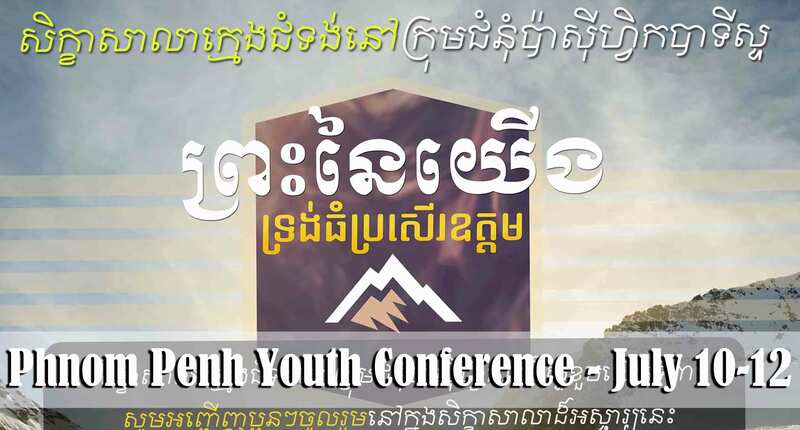 Due to constraints of space we are not able to open up the conference to other churches but we do expect to have young people from the village ministries travel to Phnom Penh and participate in the conference. We will also have 20-25 folks travel from a “creative access” country to join in the conference as well. We plan to have a testimony from one lady who was put into prison in a communist country because of her faith in Jesus Christ. I believe that it will have a powerful effect on our young people. Please pray that the skits, the testimonies, and the preaching and teaching will speak to the hearts of the young people and that we will see our church strengthened as a result of this conference. If you are on Instagram we invite you to follow the ministry @dave.board for daily updates on the work here in Cambodia. Fantastic update! I am getting ready to send one out today or tomorrow emphasizing how we are reaching the next generation. You showed that extremely well! It’s such a blessing to see all the young people but also an awesome responsibility for our team and church leaders. Thanks for your faithful updates here. The IG posts have helped keep me more in the loop and mindful to pray. 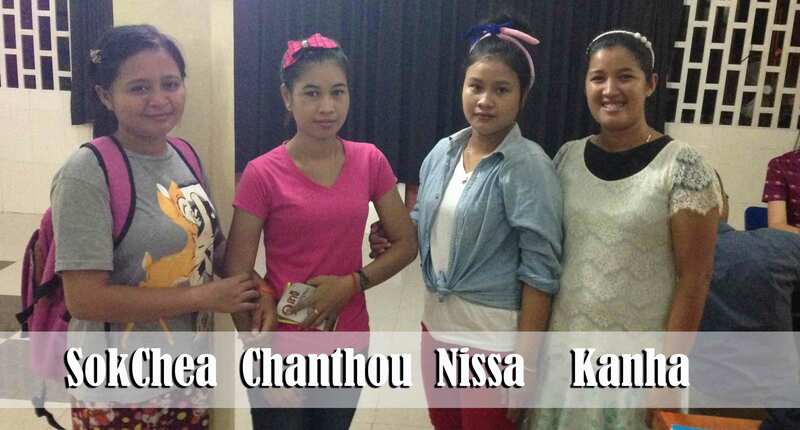 Will pray for Nissa and for Team Cambodia tonight. All three of her sisters have shot right up there! Pray for them to be faithful! Good to hear from you April.